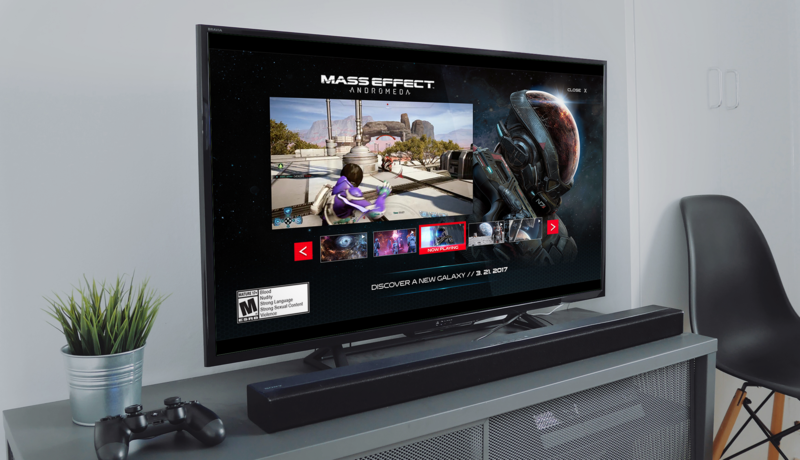 Goals: Build excitement for EA’s latest game release and drive engagement with branded video content. 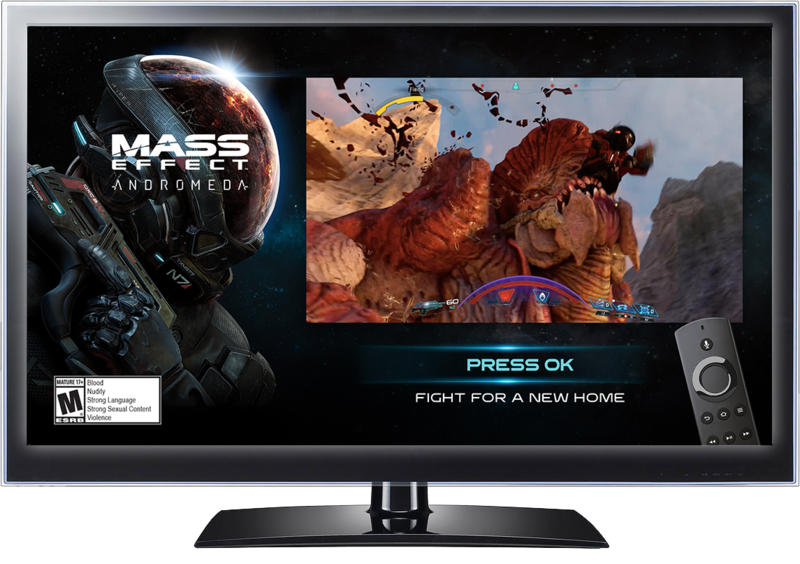 Overview: Ahead of the much-anticipated game release in the Mass Effect series, we designed a video hub to showcase game trailers, character spotlights, and, gameplay footage, giving gamers a sneak peak during the key promotion period. This was EA’s first foray into OTT advertising. We placed the commercial spot in a squeeze-back frame to give adequate attention to the CTA and maximize viewer action. 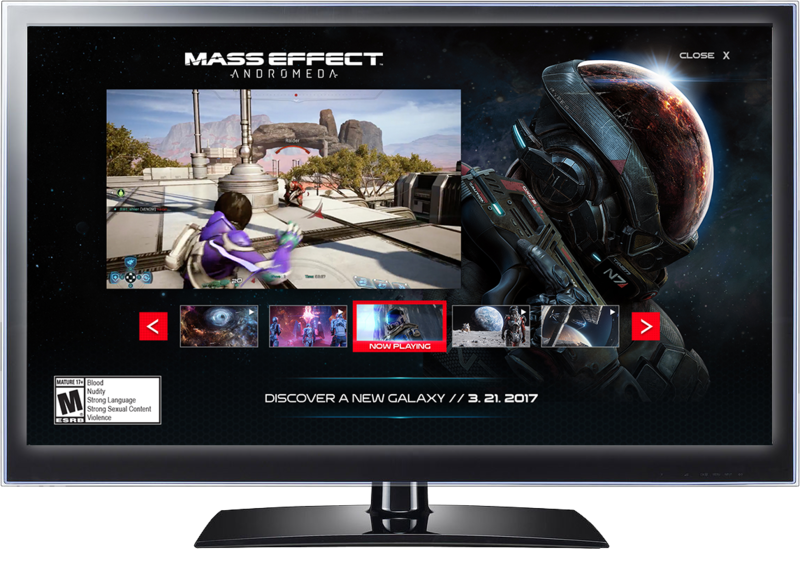 Using their remote or game controller, viewers “clicked” to enter the full-screen video gallery. Once in the full-screen video gallery, viewers could sit back and watch videos in the playlist or click to watch a specific video.